Steppenwolf Theatre presents THE CHRISTIANS. I attended the Church of Steppenwolf this weekend. I was greeted with the choir singing their souls out. They were praising the Lord with joyous voices, rhythmic clapping and broad smiles. This was a united congregation assembled for spiritual guidance. The pastor, his wife and church leadership arrived into this Sunday-induced fervor. When the pastor shared an inspirational tale of a little boy’s heroic efforts, he used the story to announce a change in the church’s belief system. He delivered the new doctrine as a matter of fact. But the believers questioned his faith. Playwright Lucas Hnath pens this subtle clash of divinity verses humanity. 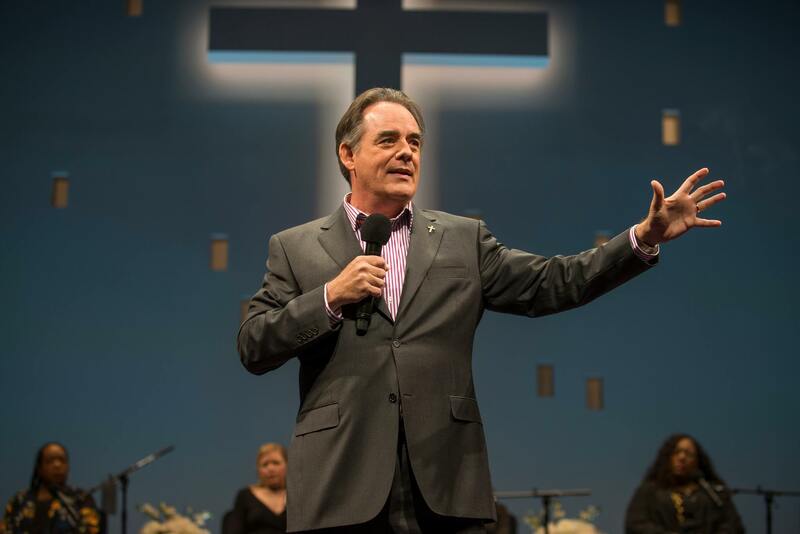 His mega-church has evolved from a storefront church. The evangelical church has been built on the sacrifice of its followers. They have committed their money, their lives and their very salvation to their community’s beliefs. When the charismatic Tom Irwin pulls a Jenga-like pillar out of their foundation, their after-life is threatened. Director K. Todd Freeman handles this with authenticity. It sounds, looks and feels like church. 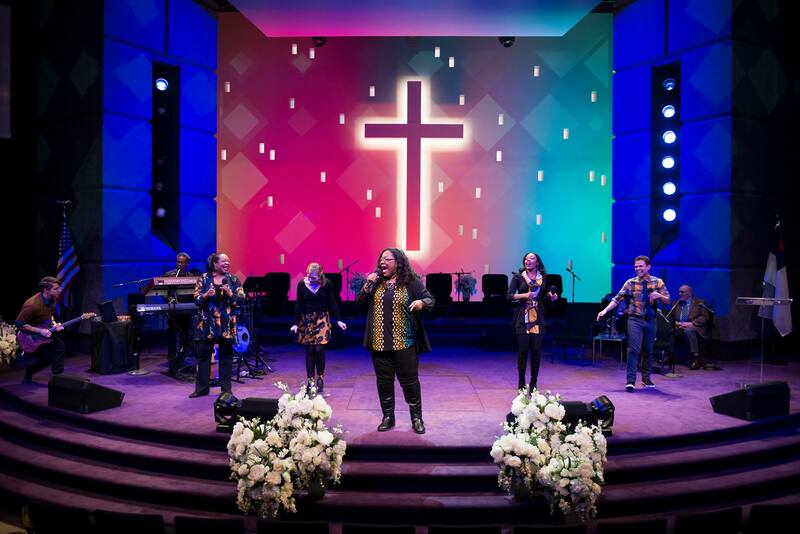 The theatrical staging of a mega-church is even legitimized by Scenic Designer Walt Spangler’s 700 Club-like creation. Freeman continues the realness by rolling out Hnath’s drama with the civility of middle class, church goers. The arguments are courteous. The passionate ensemble that greeted me doesn’t react with the same emotional level to their world being turned upside-down. Tension is lacking. I didn’t expect the fires of hell to engulf the room but I continually waited for someone to damn someone to hell. THE CHRISTIANS aren’t quite the zealot crusaders of the past. Although I found this play to be an interesting but mellow religious exploration, it did stir up some fiery discussion post-show. My play mate and I had a rousing, biblical-size debate in the car which continued in a lengthy text exchange into the next day.